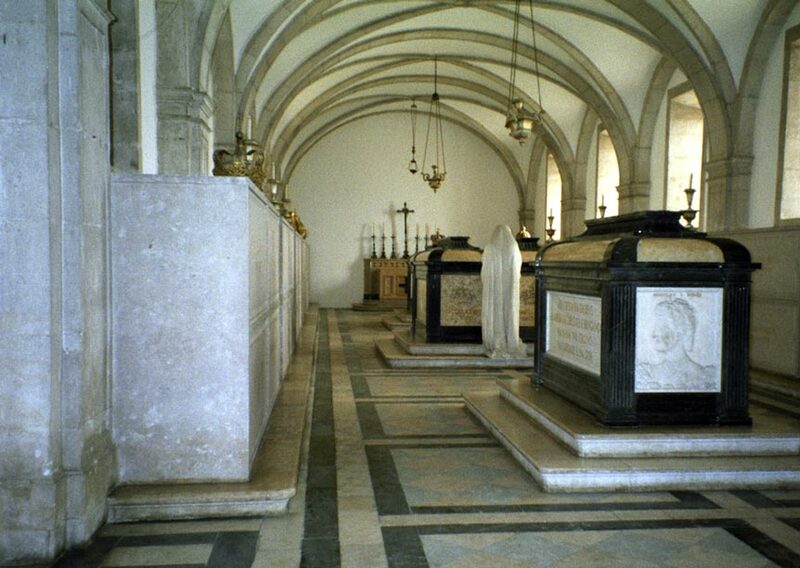 The tombs of Portugal's royal family watched over by a marble figure. The sarcophagus is also known as the Royal Pantheon of the House of Braganza and is located in the monastery of Sao Vicente da Fora in the Alfama. There is something strangely moving about this lone figure sleeplessly watching over the tombs. These life size figures stand by the tombs of King Carlos I and his son, Prince Luís Filipe, who were assassinated in Lisbon in 1908 by radical Republicans.